No matter where I am in the world, my visits to national parks usually include activities like hiking or kayaking. I love going out in nature when I visit a new place; it’s only then that I really feel like I start to understand the place I’m in. It’s no surprise, then, that some of my favourite places in the world — places like New Zealand, Iceland, and Lapland — are also those that are most connected to the nature around them. The hike through Isokuru Gorge, near Pyhä in Pyhä-Luosto National Park. There was definitely no shortage of hikes on my itinerary in Finland’s Pyhä-Luosto National Park (Pyhä-Luoston Kansallispuisto), which is located around 90 minutes’ drive away from Rovaniemi, the capital of Finnish Lapland. As soon as I arrived in the region, I laced up my hiking boots and spent an afternoon walking through the incredible Isokuru Gorge. 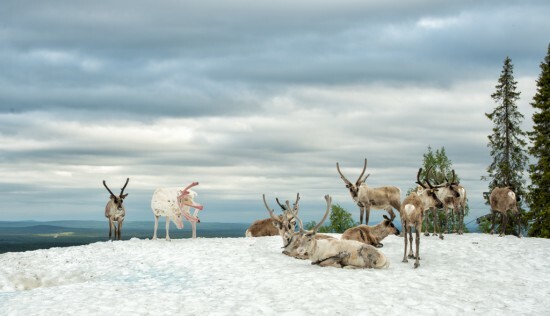 Even at the height of summer, I had virtually the entire gorge to myself — that is, until I climbed out of it and found myself sharing a ski hill with a herd of reindeer chasing after the last remaining patches of snow. These reindeer refused to admit that it was summertime, finding one of the last remaining patches of snow on Pyhä ski hill. However, it was the destination of my second hike that had me asking a few questions. I would be walking 2.5km into the national park, where I would then find the Lampivaara Amethyst Mine (Europe’s only active amethyst mine). I thought that I must surely be passing outside the borders of the national park at some point, since it didn’t make sense to me that a country that worshipped its natural assets as much as Finland would put a mine right in the middle of one of its most popular national parks. I soon found out that my map was correct. The trail from Ukko Luosto to Lampivaara led deeper into the national park rather than out of it. 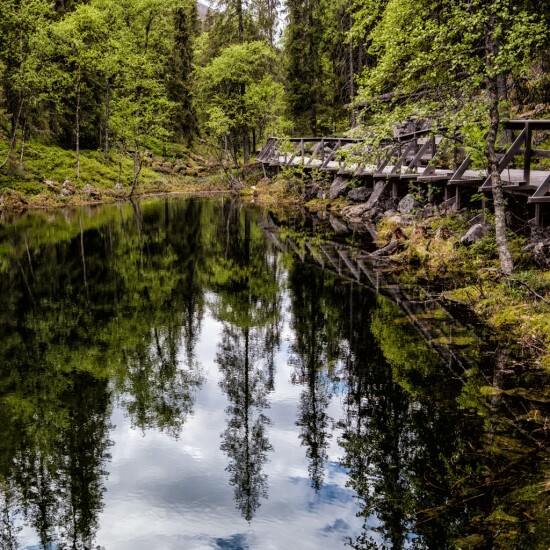 All around me stood the tall birch and pine trees that make up the forests of Finland; in between their thick trunks ran small streams that gurgled through the undergrowth. If I’d been a few weeks later, that undergrowth would have been carpeted in berries just waiting to be picked and savoured in the (relative) heat of summer. You’ll find signs like these in all Finnish national parks. Each park has its own logo with a picture that represents what makes that park special. It was pretty obvious to me, as I walked into the clearing around Lampivaara, that this was no ordinary mine. Aside from the wooden cafe on one side of the path and a locked gate on the other, there was no other indication that the mine was even there. I had timed my walk just right, so I only had a few minutes to wait before that gate was unlocked and the next hourly tour began. If you’re like me, the thought of a mine brings to mind dark tunnels and creaky lifts that go deep into the bowels of the earth. 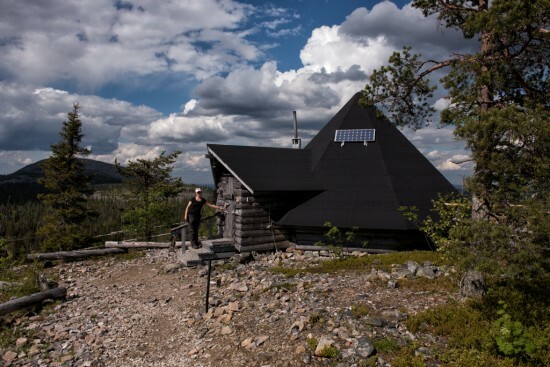 The amethyst mine at Lampivaara is the complete opposite. Rather than descending into the earth, we climbed a series of wooden staircases suspended over the rocky scree of Lampivaara fell to find the mine at the very top. The views were sweeping, with Ukko Luosto fell standing high above the rolling landscape just to our right. The café at the base of Lampivaara hill where I waited for the tour. For the first part of our tour, we sat in a wooden hut and drank juice while our guide explained the goals of the mine and the importance of the amethyst stone. 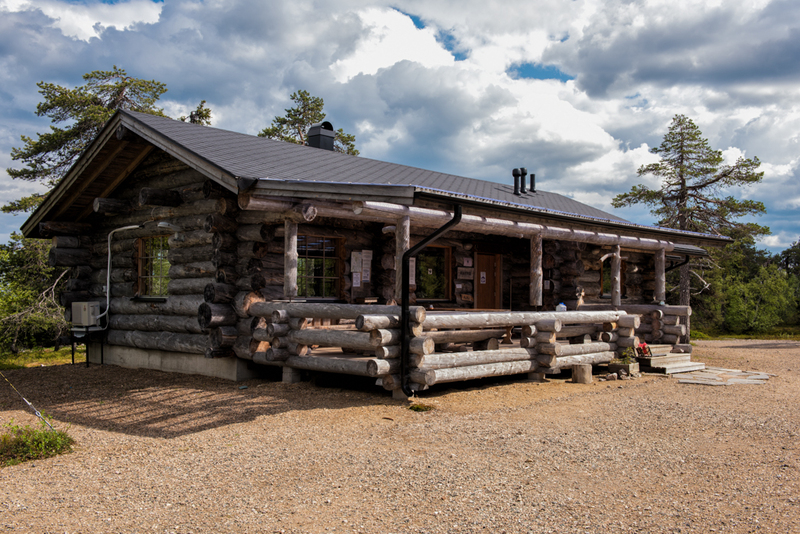 It was here that we learned that the presence of amethysts has long been known to the local Sami people. They believed the stone had a number of important medicinal properties. Different forms of amethysts that have been found at Lampivaara. Amethyst water, which can be created by collecting the condensation that gathers on an amethyst held above boiling water, has a rejuvenating effect on skin and, when used on your face, can make you look much younger. Plus, this same water can act as an itch cream for mosquito bites, stopping the itch almost immediately. Given the swarms of millions upon millions of mosquitos that inhabit Lapland in summer, I think this is a much more important use than wearing them as a pretty necklace! 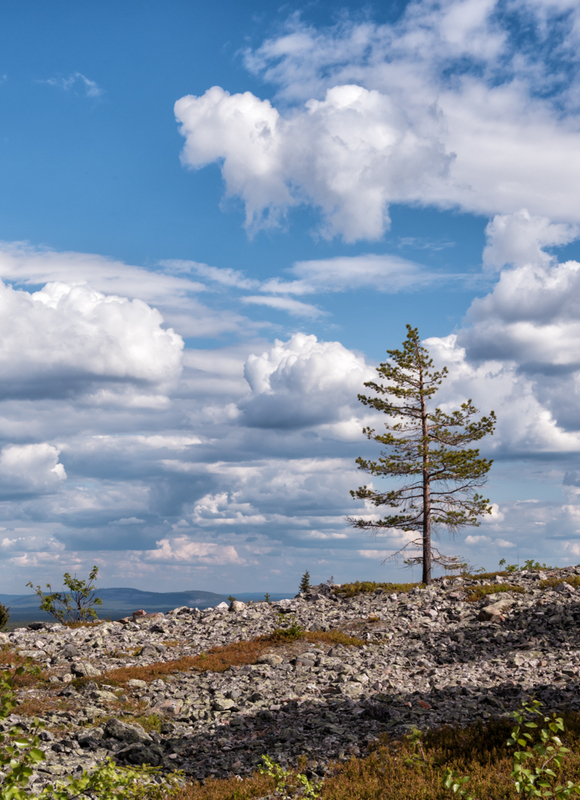 A lone tree stands on the scree of Lampivaara, seen on the walk up to the mine. While all of this was quite interesting (and well beyond any previous knowledge I had of the geology of Lapland) it still hadn’t fully answered my question of why is there a mine in the middle of a national park? 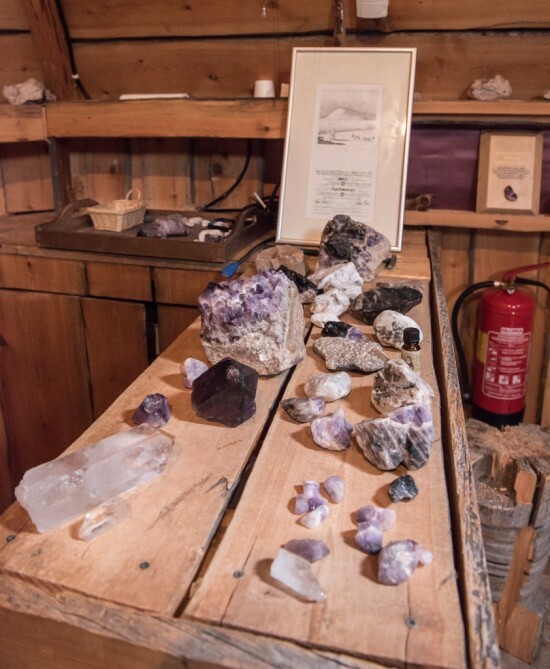 Luckily, the owners of the Arctic Amethyst Company — many of whom are previous guests, since you are given the chance to buy your own share in the mine at the end of the tour for around €160 — know that this will be a common question, so they made sure to answer it. 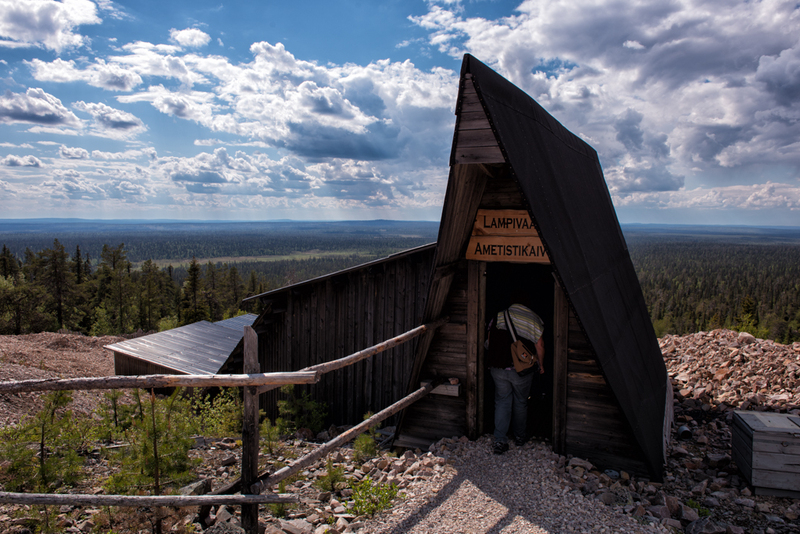 The welcome hut at the mine, with Ukko Luosto visible in the background. A large part of the answer to this question lies in the geography of the mine. 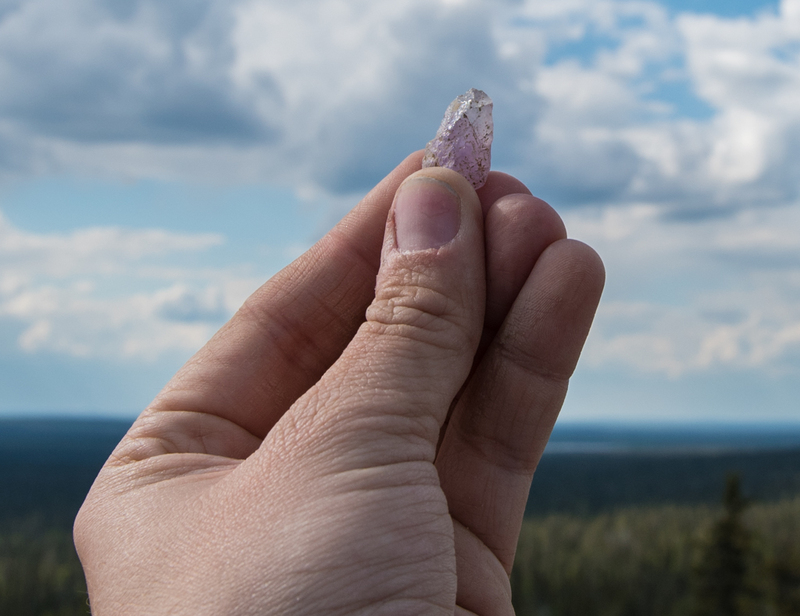 Amethysts and quartz, which originally formed in a pressure cooker environment deep beneath the surface, gradually got closer and closer to the surface during the ice ages, when mountains of snow and ice sheared off any dramatic edges to the landscape and created the rolling hills that characterise Lapland today. Now that the snow and ice is gone — a fact much better appreciated on the 20ºC summer day when I visited than in the dead of the Lapland winter — the gems could hardly be more accessible. Walking into the mine. This building houses the winter mining area (so you don’t have to dig through snow to find your amethyst). The summer mining area is just downhill behind it. Because the gems lie just below the surface, very little specialist equipment is needed to yield good quality gemstones. That means that the work is minimally invasive and involves no heavy machinery that could seriously damage the landscape. Add to that the fact that the mine is committed to only removing 500kg of amethysts a year to ensure that the supply is consistent through our lifetimes (and our children’s lifetimes) and you’ve got one very sustainable mine. Knowing all this, it started to make more sense to me that Finland would be willing to zone the mine into the national park when it was created in 2005. 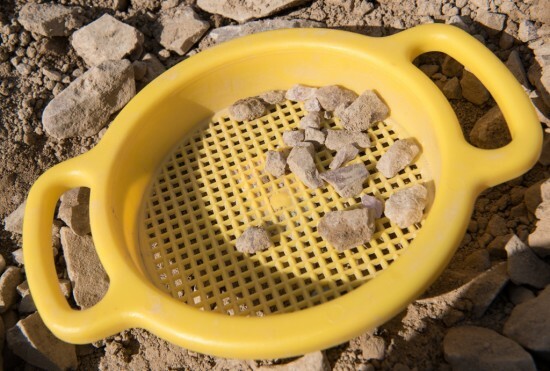 To prove just how little equipment is needed to mine here, we were taken out onto the side of the fell and given a small basket, a tiny pick, and 20 minutes to find our own “lucky amethyst.” We were welcome to take the best gemstone we found, provided we could close a hand around it. All the options I had at the end of my 20 minutes of mining. Only five of them turned out to be real amethysts. Everyone found their own corner of the summer mining area (the winter one was undercover in a wooden building nearby) and started searching. Using our picks to dig a few centimetres into the earth, we all started fishing rocks out and trying to determine if they were amethysts or the less valuable (and less colourful) quartz. By the time 20 minutes was up, I had a small pile of rocks that I suspected may be amethysts; after I washed them off in the nearby sink, the guide helped me determine that five of them were actually the stone I was looking for. After much deliberation, I picked out the fingernail-sized amethyst that would accompany me on the rest of my trip. And you know what? I reckon it was a ‘lucky amethyst’ like they said. After all, I made it through four months in Europe without hurting myself once! 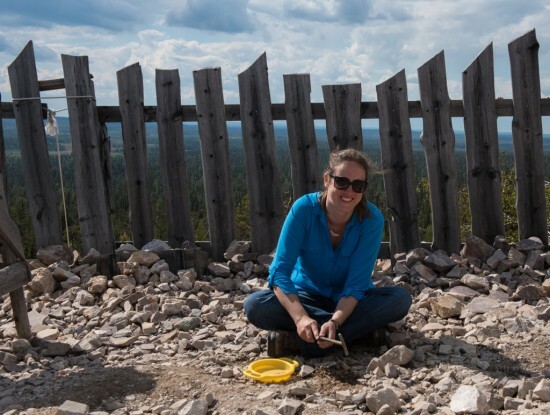 Never before have I visited an amethyst mine, and unless I head back to Pyhä-Luosto in winter, I doubt I ever will again. Nor have I ever seen a mine that has dedicated itself to ensuring the landscape stays as untouched as possible. Just being able to visit was unique; being able to mine for my own gemstones was even more so. I can’t imagine being able to (or wanting to!) do that in any other mines I’ve visited! 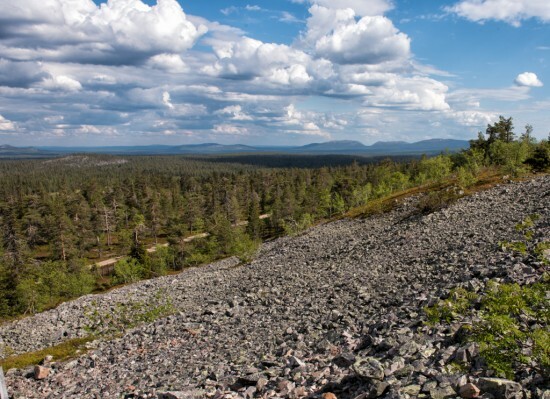 The sweeping view across Pyhä-Luosto National Park as we descend down from Lampivaara mine. Have you ever been to a mine like Lampivaara? Would you go mine your own amethysts there if you had the chance? I visited the Lampivaara Amethyst Mine as a guest of the Pyhä-Luosto Tourist Association, but all opinions stated here are my own. Summer tickets to the mine cost €16 for adults/€9 for children and can be purchased in Lampivaara Café. 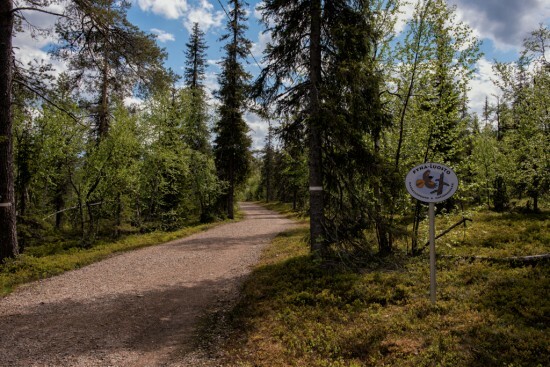 Access to Lampivaara is via a 2.5km walking track from the Ukko Luosto parking lot. Alternative arrangements can be made, but no private vehicles can drive to the mine due to its location in a national park. Winter prices are higher because access to the mine is by Pendolino (a large tractor-like purple vehicle with a heated cabin). From the centre of Luosto, a trip will cost €59; from Ukko Luosto parking lot, €49; if you have snowshoes or skis to access the café on your own, €25.